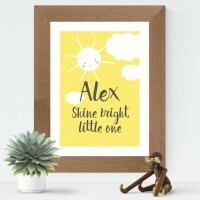 This sweet canvas design will look beautiful in a child's bedroom or baby's nursery. 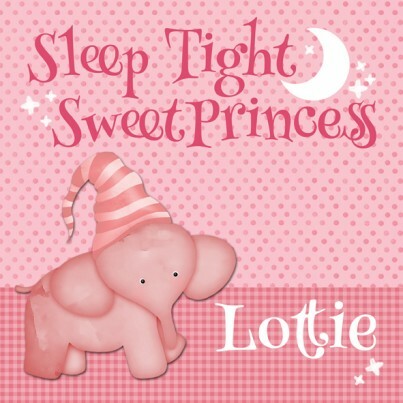 Personalised with your chosen name, and available in either pink or blue. The artwork for your canvas is created to order before being printed onto canvas and stretched over a wooden frame. The image is printed as a "wraparound" or "gallery wrap" so it continues right around the edges of the frame. Available in two sizes, please select your chosen size from the drop down menu. Your canvas will be created and dispatched via 2nd class post within 5 working days. Care for your Canvas: As with any picture, the canvas can fade if placed in a very bright room or near a window. Position your canvas in a place where it won't be in strong light and you can enjoy it for years to come!